You gotta be nuts was something we heard fairly regularly when we first decided to give this indie filmmaking thing a try. Gotta be nuts for choosing, of all places, to go to Passabe. Gotta be nuts for walking into that minefield. Gotta be nuts for spending sleepless nights in Shamshuipo. Nuts. Absolutely nuts. Over the years, we’ve learnt a few things. 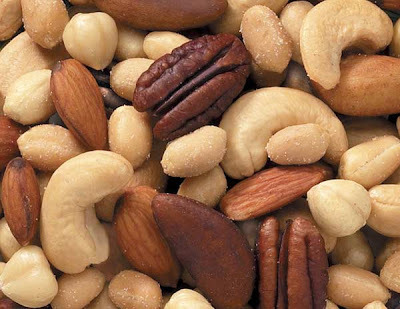 Nuts ain’t such a bad state of being. Nuts kinda gives you the reason, and the license, to do the things you like. We also discovered, along the way, plenty of other nutty folk. People whose obsessions consume them. And whom we admire for their dedication. They’ve shown us that in the grand scheme of nuttiness, our own pursuits are well, peanuts, in comparison. So in honour of everyone whose inspired us, we’re starting a new series of posts. Gotta Be Nuts – conversations with the obsessed. First up, Stefan Shih. 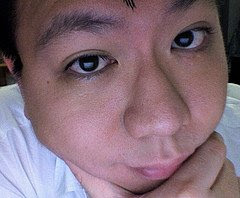 Film buff, reviewer and founder of A Nutshell Review, this guy’s probably seen every made-in-Singapore feature, short, documentary and YouTube entry ever produced. The stats on his site say it all. Stefan reviewed a total of 256 theatrical releases, 70 festival films and 66 DVD/VCD titles in 2007 alone. Yup. Nuts. Q: Why the fascination with films? S: I guess it’s thanks to my mum. From a young age, I’ve been a regular to the theatres because my mum’s a movie fan. She would take me to the cinema each time a new movie hit. I recall watching Empire Strikes Back at the now-defunct Odeon. And it’s not just Hollywood films. She started me on Hong Kong movies too. No genre was taboo. I got to sit through the 80s movie, Mr Vampire, on the big screen! So I guess my whole appetite for the movies just grew from a very young age. Q: Filmmaker Tan Pin Pin once asked if you ever slept. It’s pretty amazing the number of reviews you do each week. What keeps you going? Do you do this full time? S: Unfortunately, no. It’s not something I do full time. I don’t think it’ll ever be something I do full time because that’ll mean deadlines and probably having some of the “fun” factor removed from it. Doing this as a hobby gives me a chance to break out of the usual work cycle. Some play sports and games to de-stress. Well, I just watch movies and do my best to review them as best as I can. Also, while running the site, I discovered a lot of film-related activities out there which I never knew existed. So who says Singapore is boring? I try to attend as many different film events as I can, and write something about them. I might write a simple field report, or post some photos on my blog. There are a lot of film events that don’t get any coverage or write-ups. I hope to provide a glimpse of what goes on in these events. Q: Indie filmmakers are always moaning about the lack of support for their work. Do indie film critics face the same problem? S: I’m operating out of my own pocket to fuel my viewing obsession! I feel things are looking up, given that we have movie websites of our own, like movieXclusive.com and Sinema.sg. What matters is probably building a level of honesty and sincerity in the reviews so people know who you are and what you stand for. Of course, there are also people who know who you are and dislike what you stand for. Haha! Q: You’ve been running your site for at least four years now. How has the Singapore film industry evolved during this time? S: Yup, it’s about four years and counting. As an outsider looking at the industry with keen interest, I’d say things are looking up with the number of films being released each year on the increase. The challenge still remains to get our local audiences to take a leap of faith and give our filmmakers a chance. I guess the task here is to convince Mr Average Joe to give local movies a try instead of voting with his wallet for the latest Hollywood remake, and to eliminate the gross misconception that local films, because they have relatively small budgets, are bad films. Q: Name your top three all-time favourite films. S: This is always a difficult question for me as how I feel for a movie depends on when I view it and the impact it has on me. If I really have to make a choice, it will be, at this moment, Yasmin Ahmad’s Sepet, Wong Kar Wai’s In the Mood for Love and Han Yew Kwang’s 18 Grams of Love. Hmm… kinda curious though… they are all romance-themed! The other movies on rotating musical chairs with those three are films like Eternal Sunshine of the Spotless Mind, Hot Fuzz, Citizen Dog, Cashback, Before Sunrise and Before Sunset, and Singapore Dreaming. Gee, I’ve given you a Top Ten list instead!